Learn to bake like the crème de la crème of the Patisserie world. We will cover some of the key techniques required in the world of baking, desserts and pastry. 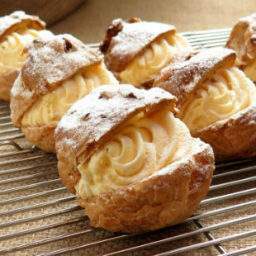 From a basic sponge to choux paste (profiteroles) all the way to a Gateaux opera (if we can hack it! ).